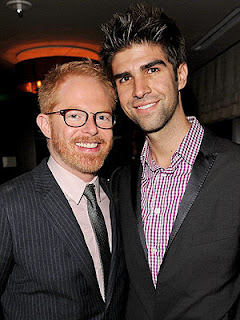 Jesse Tyler Ferguson is heading down the aisle. The Modern Family star is engaged to his boyfriend, lawyer Justin Mikita, he has revealed. "It's true, I popped the big Q," Ferguson says in a video posted on the website for the newly created foundation Tie the Knot, which supports the fight for marriage equality. "I said yes!" Mikita answers in the clip. Ferguson, 36, and Mikita, 27, who have been dating for nearly two years, hope their union will eventually be considered official nationwide.